Salman Khan, the superstar of Bollywood may be tagged as arrogant and haughty by his critics but the actor is ‘real darling’ for his near and dear ones. A picture of his adoration for his sister Aprita Khan can be gauged from the fact that the actor has booked the entire imperial Falaknuma Palace in Hyderabad for two days for his sister Aprita’s wedding with his long time beau Aayush Sharma, a Delhi-based businessman with whom she is in a relationship for almost a year. However besides organizing the most expensive wedding of Bollywood for his beloved sister, Salman Khan has also a surprise for his parents. Readers may wonder - What is the surprise? Well, few would know that Salman Khan has selected November 18, 2014, the date for his sister’s marriage, intentionally because the date coincides with the 50th wedding anniversary of his parent, who tied the nuptial knot on November 18, 1954. 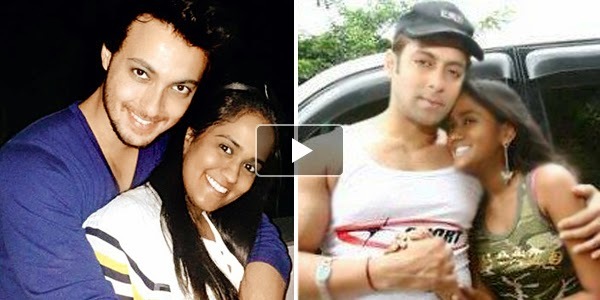 Thus Salman Khan would be giving a double bonanza for the family! Falaknuma Palace is one of the finest palaces in India. The name Falak-numa literally means "Like the Sky" or "Mirror of the Sky" in Urdu. It was built by Nawab Vikar-ul-Umra and was it was renovated into hotel in November 2010 by Taj Group of Hotels. The hotel has rooms and halls decorated with ornate furniture, handcrafted tapestries and brocade from France. The interiors have Venetian chandeliers and intricate frescos, and have outdoor terraces with rare artefacts, including paintings, statues, furniture, manuscripts and books. 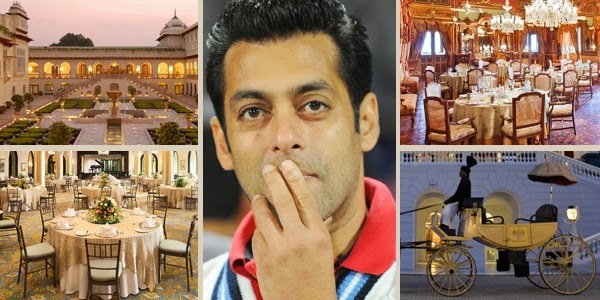 Salman Khan has booked the hotel at the rate of Rs 1 crore a day for his families Royal Bash. It may be noted that the sum of Rs 1 crore is just the rent of the hotel as more money is expected to be spend in its decorations to make the event more spectacular and grandeur. Reports have it that the actor who shares a good relation with honorable Prime Minister Narendra Modi will be inviting the PM to grace the occasion. In addition besides the who’s who of Bollywood, Salman Khan has also invited Venkatesh and Suresh Babu from Tollywood.